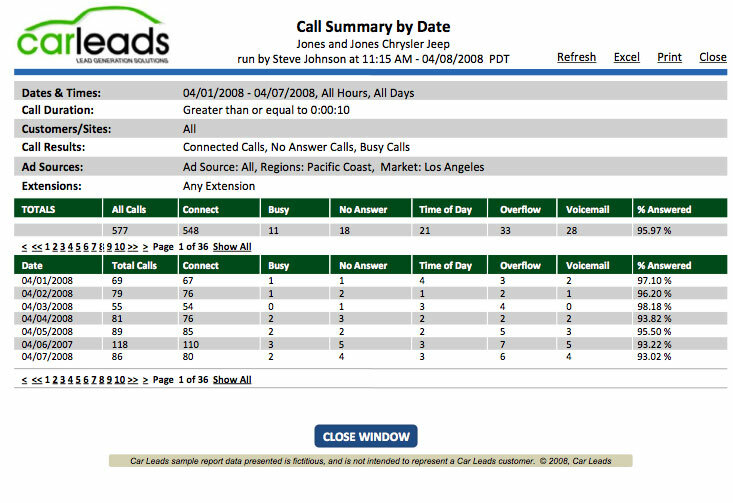 The Call Summary by Date shows the percentage of calls answered, vs. those that ring busy/no answer. This also shows your connected call percentage. Car Leads Instant Missed Call Notification can send an email to your computer or cell-phone within 5 minutes of a missed call. The Missed Call Notification email also includes the caller’s telephone number.